This chapter explores how religious dissent affected the politics of the family. It examines how successive Protestant regimes attempted to intervene to prevent the education of children as Catholics, discussing the implications for patriarchy, but also broader notions of family and its relationship with the state. 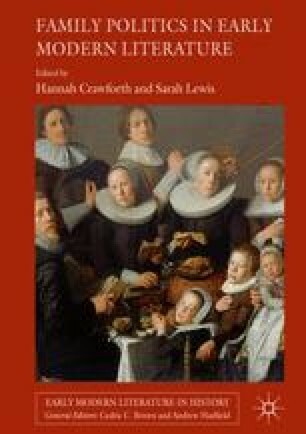 Looking at the motivations, justifications and limitations of such intervention—as well as Catholic responses to them—enables an exploration of the conflicts within early modern ideals of state, family and religious uniformity.